Want a pool in your home? Direct construction is very difficult. On the one hand, it needs space, and on the other hand, it needs large earth-moving workers. Our recommendation is that the inflatable swimming pool is simple and convenient. 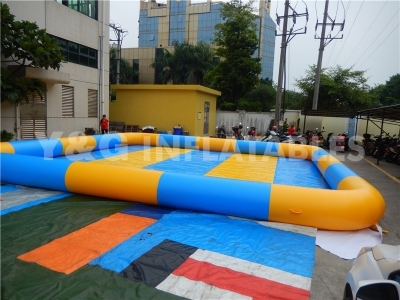 Summer is coming, the inflatable swimming pool began to get the welcome of the parents and children, especially in the amusement park, or park, aiming at places like the inflatable pool are popular, not only is that the children can play in it, adults can also accompany, in the home also has a type of small inflatable pool, very convenient, so inflatable pool what charm? 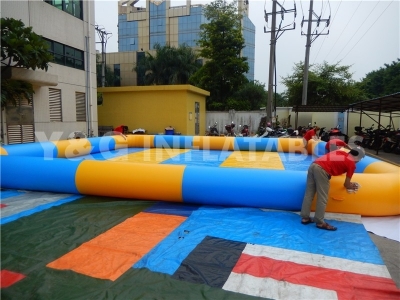 The inflatable swimming pool is made of macromolecular material, which is formed through a pressing film on the process, so it is very wear-resistant, resistant to pulling and tearing. The child will not have any safety hazards at home, and the toy is durable and watertight. The water storage can be used many times, saving the household tap water.So how can parents inflate and fill the inflatable tank? Select a flat location, the need for adequate placement of the pool, the proposal to purchase before a good measurement; Spread out the inflatable tank and use the fan to inflate after tiling. The depth of the tank should be determined according to the size of the tank. Generally, it can reach about 80% at best.This is the benefits of an inflatable swimming pool.